A proud Rudy du Plooy (left), Netstar General Manager: Software Development and Quintin De Kok, Netstar Developer, with the TT100 awards. 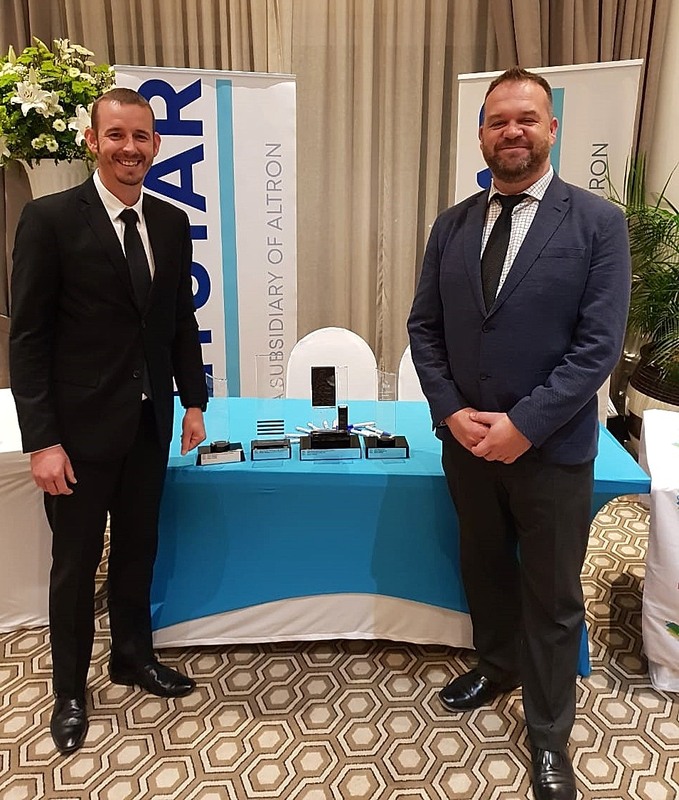 Congratulations to Netstar, a subsidiary of JSE-listed Altron, on receiving the prestigious 2018 Minister of Science and Technology’s top award for overall excellence for large enterprises in the Technology Top 100 Business Innovation Awards. It also received three other awards at this year’s foremost business awards programme. “We operate in highly competitive markets and the management of the culture of people, technology and systems processes throughout our business is the key to our success. We continue to focus on innovation that matters, continually delivering new insights with the aim of unlocking new value and opportunities, from productivity efficiencies and technical innovation to cost savings, for all our customers,” adds Bruwer. The TT100 Awards are an annual event hosted by the Da Vinci Institute for the Management of Technology and Innovation under the auspices of the Department of Science and Technology. Entrants are evaluated using the TIPS™ model which assesses each company on how they have managed technology (T), innovation (I), and people (P), in the context of managing an organisation as a system. They undergo a challenging adjudication process which causes each facet of the business to be carefully examined and scrutinized by a panel of industry specialists. A total of 192 companies entered this year’s TT100 programme.